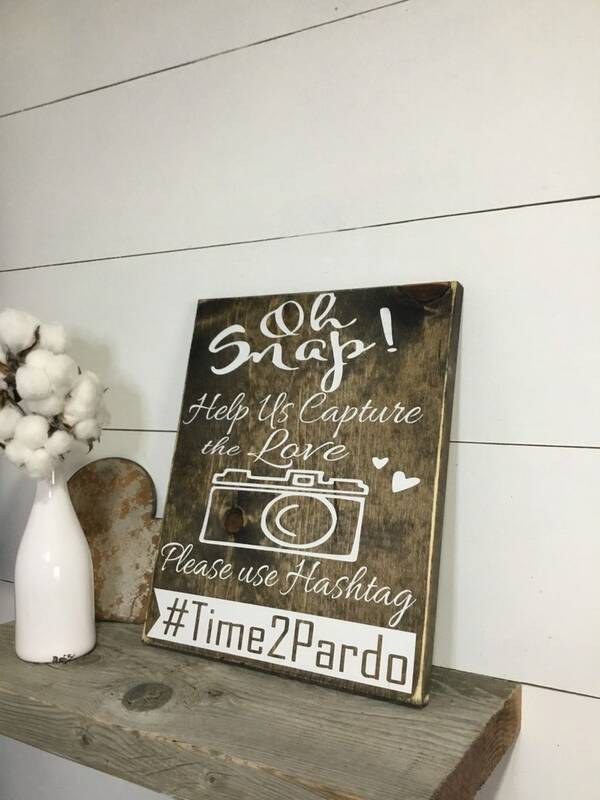 Capture the love and the memories with this 'Oh Snap' wooden wedding sign. Help your wedding guest share the love on Instagram And other Social Media Set on your Wedding Table And let your guest to the rest. This sign measures approximately 14"x 7". With a longer hashtag we will make a 14”x11” as a courtesy at no extra charge. A perfect reminder for guests to use your custom hashtag and share your beautiful wedding on social media. Keep in mind Just like you, each wood sign is one of a kind! They are hand painted and any knots, cracks or imperfections are a natural part of the uniqueness of raw wood and charm of handmade. Bought two signs and the top right of the camera on this sign was scraped off and had a cloudy spot around the hearts like someone tried to wipe it and fix it. I am getting a refund and this appears to be an anomaly based on other pictures people have posted, but I would have much preferred getting a message telling me my sign may take a bit longer then getting what I got and having to pay $15 to ship it back for a refund. 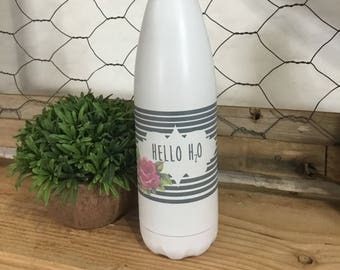 We are so sorry for the dissatisfaction of our products...all our signs are distressed and we represent that in our photos and our descriptions. We don’t offer refunds on custom orders per our policies but made an expectation in this case to except a return for a refund....shipping should not have been more than $5. Where do I return my item? Returned items are at the expense of the buyer. When item arrives in good condition, the purchased price will be refunded. We do not refund shipping cost. If you don’t like your item.....you will need to return it to receive a refund. We do not pay for returned shipping fees. Custom items are on a case by case basic for returns. Not to worry if your item arrived damaged. We insure all items shipped and we will handle the claim and issue a refund for product damage. Just send us a photo of package and product damage and we will take care of the issue. This does not include natural wood imperfections.